Thanks for the insight. The creative process is always intersting to me; that includes the moment when one decides to be not only be creative, but to take a chance in combining creativity and business/marketing. 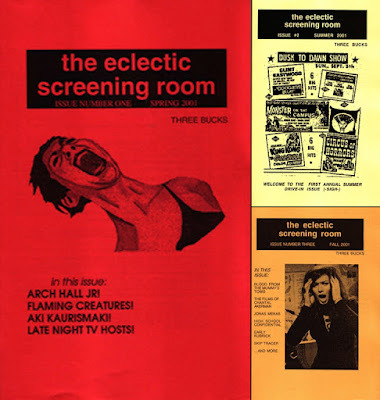 At the beginning of this year I pulled from my archives issues of "The Eclectic Screening Room" -- I was reminded how fine a publication it is. I know a fair bit about many of the subjects covered within the publication's pages, but I also discovered, or re-discovered, how much I want to know. To anyone reading this comment: Take my advice and grab some back-issues of ESR magazine. They go real good with coffee!